Eight years later, Zerista, powered by Simpleview, has evolved into one of the most comprehensive, customizable, intuitive event applications in the market. We&apos;re proud to be their partner in providing location intelligence capabilities that raise the bar for event organizers, exhibitors, and attendees - bringing the power of location to the full convention ecosystem. "What was needed to take it to the next level" said Tyler Conley, Vice President of Sales at Zerista, "was to add location components. The next step was the ability to locate where the attendee currently is in relation to the map, to plug in where they were going, and how to get there from their current position." With the new updates in place, Zerista&apos;s platform jumped from being a reference tool, to become a full featured location-aware planning tool. The value provided to Zerista doesn&apos;t stop for just conference attendees. Conference organizers stand to greatly benefit from location capabilities as well. 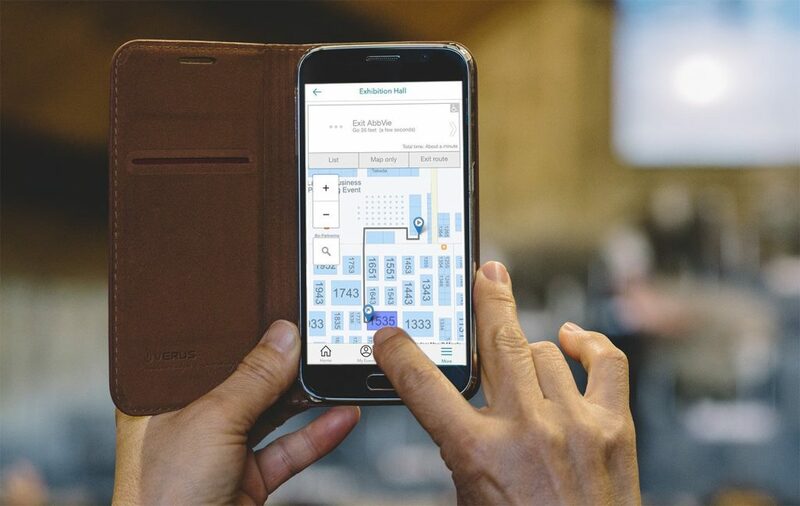 When conference attendees use the application, anonymized metrics can be shared back to the conference planners to see which exhibitors were searched for, which badges were scanned where, and how often the exhibitors&apos; materials were accessed through the app. From a humble start in Colorado, Zerista has evolved into a leader in providing location solutions for conference organizers, we&apos;re proud to be their partner in providing location capabilities that enhance the experience for businesses and consumers. Find out more about how you can put venue information to work.